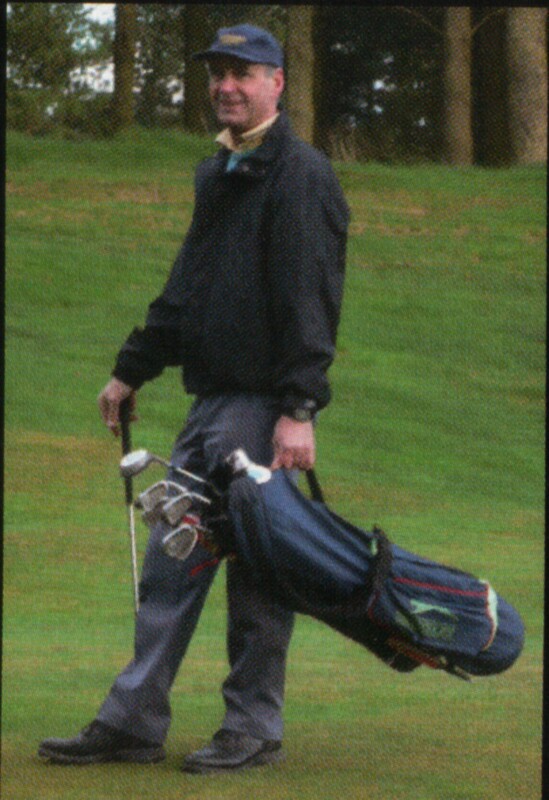 Forfar Golf Club, Scotland, May, 2007. Forfar, Scotland, is a small town about dozen miles northwest of Carnoustie. Its most famous resident may be Bon Scott, the lead singer of the rock band AC/DC, who was born there in 1949 and died, of acute alcohol poisoning, in 1980. 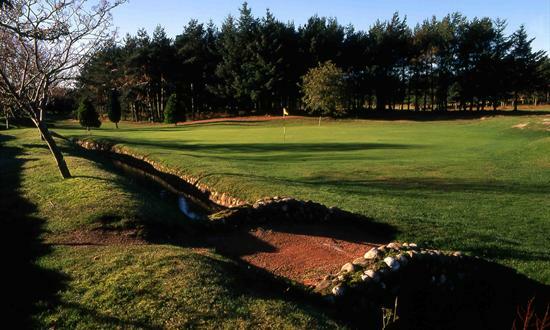 Forfar—prounouced FOR-fer—has a golf course, which was designed by James Braid. I pulled in one evening in 2007, to make sure I’d be able to find it the following morning. It was almost time for dinner, and I wasn’t really planning to play, but suddenly I found myself in the golf shop handing my credit card to the wife of the head pro. On the course, I soon caught up to and joined three members: Brian, a local builder, who sounded a little like Sean Connery and carried his golf bag by the handle, like a suitcase; Gavin, a retired local cultural administrator; and Michael, a jeweler. Here’s the sort of golfers they were: all three, despite having played the course regularly for many years, were surprised to learn that the round blue marker in the center of each fairway was 150 yards from the green. Gavin told me that the three of them played together almost every Monday evening because “then there’s no one in front and no one behind.” They took lots and lots and lots of swings, although we still finished in just about exactly three hours. 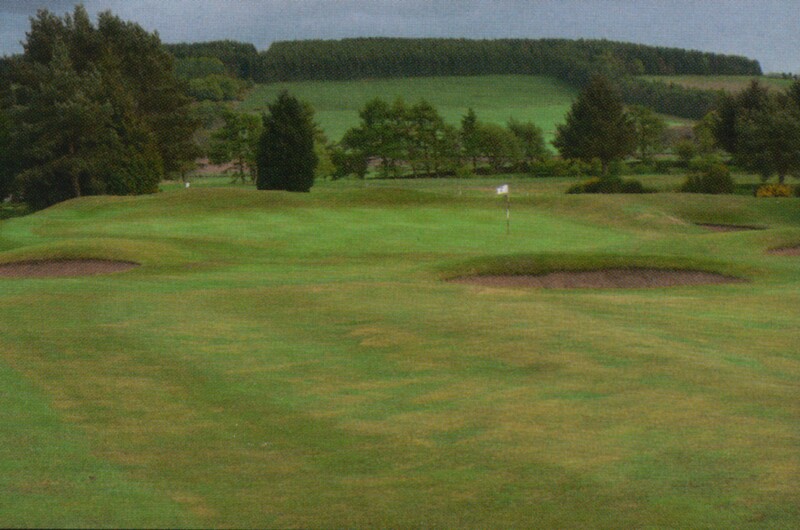 The next morning (after breakfast and a bucket of balls at the local driving range, on the other side of town), I played a second round at Forfar. A ladies’ medal competition was going on just ahead of me, so I had plenty of time to admire the course, which is well inland and is surrounded by farms but feels very much like a links course, in part because most of the fairways have distinctive undulations, like gentle ocean rollers—remnants of ancient flax furrows, Brian had told me. (You can see the furrows, sort of, in the photo at the top of this post.) And when I finished I still had time to kill, so I went around again. And the following year I came back, with friends from home. 15 months membership for the price of 12! New members can join straight away for the 2012 price of £485 (£460 + £25 bar credit) and receive membership of the Club through until 31st December 2013! To join call now on 01307 463773. You will be assured of a warm welcome so please don’t hesitate to contact us by telephoning or sending an enquiry to our email address. For more information on the benefits of membership at Forfar Golf Club please see below. Excellent layout for all ability of golfers to enjoy. Payment can be made by all the usual methods and the Club offers a Direct Debit scheme through Premium Credit Ltd. This entry was posted in Architects, Back-Roads Scotland, Buddies Trips, Golf Courses, Scotland and tagged AC/.DC, Bon Scott, Carnoustie, Forfar Golf Club, James Braid by David Owen. Bookmark the permalink.